The fifth generation of wireless networks, or 5G, has the potential to transform society as we know it. Already we have seen some significant steps taken toward implementation, and 2019 will bring more research, investment, and deployment in cities around the world. 5G wireless will place new pressure on spectrum resources to fully achieve the improvements in performance, latency, and capacity that are promised. The technology will demand higher frequencies and wider bandwidths than what was needed for 4G/LTE, while also requiring telecom companies to rethink how they deploy network infrastructure across different environments. 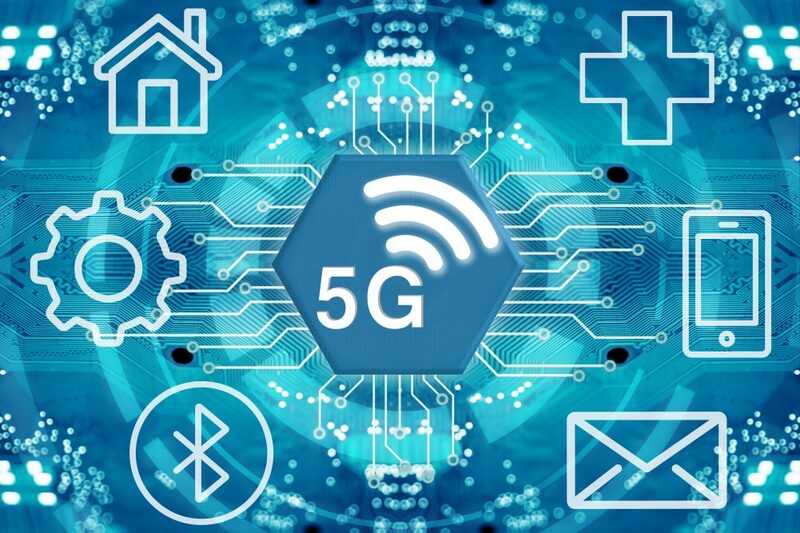 Through connecting a diverse range of wireless devices, reducing latency to practically instantaneous transmission of data, and potentially supporting billions of devices each sending more traffic than ever before, 5G’s potential applications are worthy of anticipation. So how far are we from seeing real 5G networks available for users, and how is the wireless spectrum powering this new generation of wireless connectivity? What Frequencies are Being Used to Implement 5G? The 3GPP has finished developing the initial standards for 5G, although technicalities are expected to be worked out with continued testing. The first agreement was for the Non-Standalone (NSA) standard, which was approved in late 2017 and utilizes existing LTE infrastructure for earlier implementations in the short term. The second is the standalone standard called 5G New Radio (5G NR), which will require new infrastructure but will allow telecommunications companies to move forward with deployments and research. The chart below details the breakdown of the major frequencies established for use in 5G networks. FR1 will likely be used for initial implementations, with FR2 following. The second chart lists the FR2 frequency bands of interest. The FCC has also opened up spectrum from 64 GHz – 71 GHz for future activity. The higher frequencies being used for 5G enable higher data transmission through wider channels than the signal types used today and reduce latency significantly compared to current levels. Latency is expected to drop from the current average of 25-40ms to as low as 1ms, while data speeds are expected to range from 100 Mbps on lower frequencies to up to 10 Gbps on the higher bands. These performance improvements are a key feature of 5G capabilities, and make applications such as autonomous vehicles, the Internet of Things, smart cities, and advanced robotics possible. However, the higher frequency bands being considered come with challenges as well. One of the biggest is propagation, as they are not able to travel as far as lower frequency waves and are not able to penetrate buildings and walls as effectively. Implementing 5G wireless and enhancing coverage is therefore only possible by significantly modifying existing infrastructure and using different signal types in different environments. The lower band, due to its ability to travel further, will likely be utilized for less densely populated areas. Higher bands, especially those above 6 GHz, are what will enable real 5G deployments in cities and other high density environments. Finally, 2018 saw legislative changes targeting the C-band for use for 5G. The C-band is about 500 MHz of spectrum from 3.7-4.2 GHz and is currently occupied by satellite providers in the US. In compliance with legislation and to get ready for the shift to 5G, they have offered 200 MHz for cellular carriers. Whether this is enough of the spectrum to satisfy 5G network needs is generally contested by cellular providers, while satellite providers are likely to be reluctant to release any more. We are probably going to see more legislation and negotiation regarding the allocation of these frequencies in the near future. 2018 saw the first real taste of 5G wireless, with small deployments and the development of hardware capable of receiving and transmitting 5G signals. Despite technical standards not being fully established, many have gone ahead anyway using their own technology or basing deployments off the current provisional standards. In the US, Verizon and AT&T launched their 5G home broadband service, with Sprint and T-Mobile planning on 2019 releases. Verizon has acquired portions of the 28 GHz and 39 GHz bands, while AT&T is starting its initial trials on the 15 GHz band before switching to 28 GHz. T-Mobile is taking a different approach, and is mostly focusing on the 600 MHz band for its upcoming releases. AT&T has implemented their mobile network in twelve cities in the U.S so far, and plans on extending this to seven more cities in 2019. Verizon released their home service in four cities last year, and is expected to implement a mobile service soon. Trials testing the C-band frequencies and technologies have been conducted around the world, and telecom providers worldwide have spent billions to prepare for the new era of 5G wireless. In North America, complete rollouts of actual 5G commercial cellular services are not expected for a few more years, as work is still being done laying the groundwork for the networks and technology. Other countries outside of North America are also making major progress. The 2018 Winter Olympics served as a stage for South Korea to make its 5G debut, demonstrating its extremely fast data transmission capabilities. They are currently conducting trials in the 26.5 – 29.5 GHz band. European countries are also pressing ahead in the 3.4 – 3.8 GHz and 24.25 – 27.5 GHz ranges. Telecom companies, equipment manufacturers, governments, and consumers will all face challenges during this transition. Carriers will be forced to operate 4G/LTE and 5G networks simultaneously for the foreseeable future, while governments will need to finalize standards, allocate spectrum, and ensure infrastructure is built effectively. Cell phone manufacturers are already racing to launch 5G enabled devices, but the technology inside of these phones will raise the price for consumers who may not be willing to pay for premium phones and plans which provide limited access to 5G networks in specific cities. That said, 2019 will bring us one step closer to fully enabling 5G wireless and will be the first time people get full access to the technology. The applications, use cases, and technologies that will result from the significant increase in performance, latency, and bandwidth will change the way we work, live, and interact with each other. 5G may not be here yet, but the impact of this powerful new technology will start to be felt in the years to come. Need to extend your equipment into 5G? ThinkRF RF Downconverters work with any third-party spectrum analyzer to bring frequency performance up to 30 GHz. Read our 5G use case here.